You can catch Shelton, Seth, Karla and Winslow selling funny books from 10am-6pm on Saturday, August 18 and from 10am-4pm on Sunday, August 19th! Admission is just $5.00 with Kids 12 & Under FREE! If you have a special request for a comic book, or if you would like to place a supply order to pick up at the show, please let us know in advance! 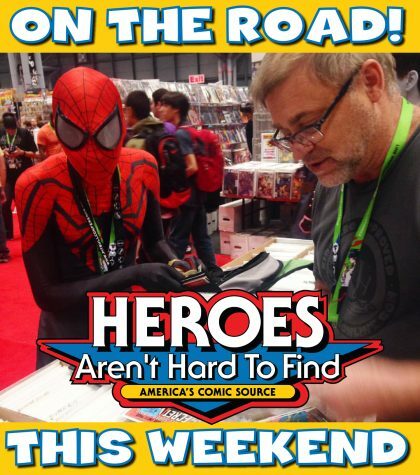 Email Seth@heroesonline.com by Friday morning, August 17, and we will do our best to accommodate your requests!